After a gentle opening hole you now have one of the toughest par 4s on the course generally played into the prevailing wind. 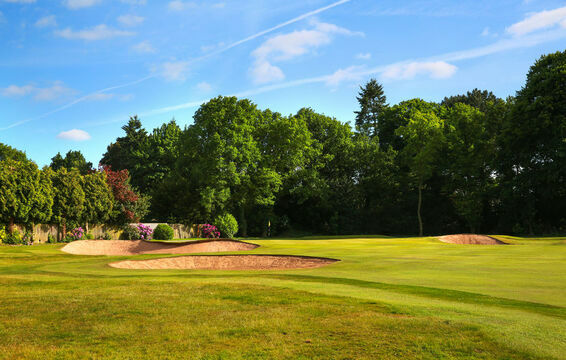 The tee shot is a demanding one not only does it need to be well struck to give you a chance of getting home in two but you need to avoid the left hand fairway bunker and the two right hand ones because from there getting home in two is impossible. These large fairway bunkers are punishing and are a big feature on the golf course. Your second shot will be played with a long iron or fairway wood to a well-bunkered green. The second shot could fool you, being up the hill you will need an extra half club at least. But be careful if you are above the pin you are left with a tricky quick down hill putt.